You won’t find a Valentine’s date night more interesting than this one! 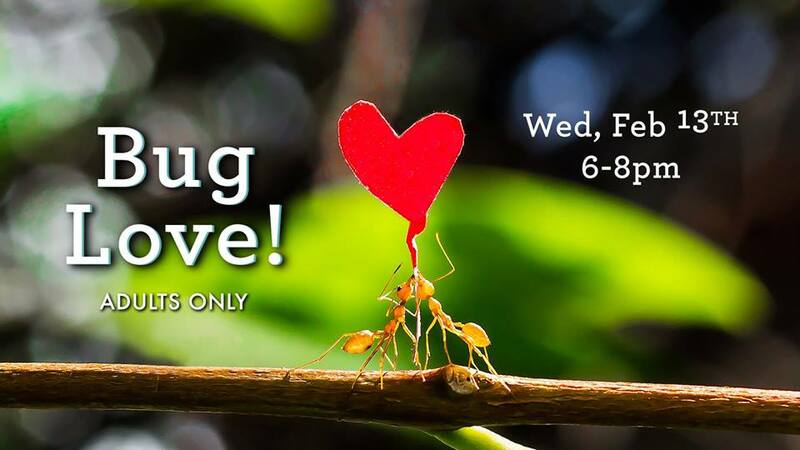 Join us for a fun, educational, and romantic date night evening that offers insights into the world of bugs and their amazing journeys of “love”. Meet these bugs up close, and even enjoy a sampling of edible insect treats. Includes light refreshments. Cost: $25 per couple. Call (480) 800-3000, ext. 210 for reservations.